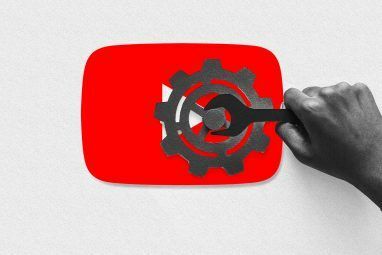 Are you an aspiring YouTube Partner? Or simply want to get started making some videos of your own? 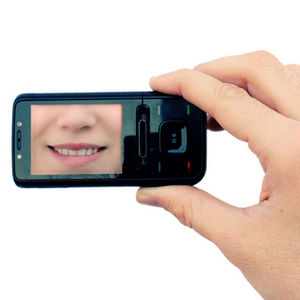 Recording videos with your mobile phone is probably the easiest way to get started. The hard part might be editing the video. On the iPhone, you have iMovie to easily make simple edits to your videos. 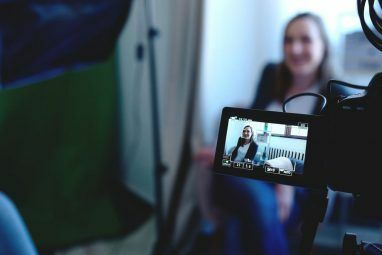 On an Android phone, however, editing videos can be a bit difficult as there are limited options available natively or with third-party software. There’s no need to despair, however. It can actually be done. Let’s check out how you can edit and optimize videos for online publishing. Before checking out third-party Android movie editors to edit videos after recording, you can change how your video might look before the actual recording. When you’re using the native video-recording app, for example, you have many settings you can adjust like contrast, saturation, brightness and a few other settings. For post-capture editing, however, your options are more limited. You can only view and delete existing videos. To crop or other simple tasks, you have to use a computer or find a third-party app. There are honestly not that many other apps that can do a lot of video-editing. The ones that exist offer simple features, but you might find that enough for a mini-project. This ad-free app allows you to apply video filters, effects and masks to new videos you can shoot at normal and fast (1.33x) speeds. Some of the more interesting video filters include pencil (depicted below), x-ray, mono, thermal, etc. while cool video effects include mosaic style (with four squares of the same image), light tunnel, etc. There are two options under video masks: corkboard and bricks. If you press the Menu button, you can go into the Settings and change the video resolution to either 640 x 480, 720 x 480, 800 x 480, while the default (and recommended) resolution is 480 x 320. You can also set whether to record voice in the Settings. The only drawback might be that you can’t apply the filters to existent videos, nor can you trim videos, but you can use the next app to do the latter. This ad-supported app does justice to its name. It lets you browse through your video library and set markers on an existing video to indicate start and end times. You can either trim the original video or save the trimmed version as a new file. 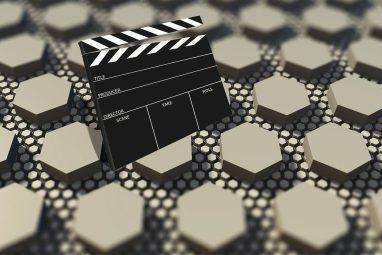 If you own an Android tablet, there’s a handy video-editing app named Movie Studio, which allows you to create movie projects just like in Windows Movie Maker. You will have a timeline on the bottom and a video preview area on the right. When you start with a new project, click on the upper corner links to record a new video, take a new picture, or add existing videos and images. You have to manually add videos and pictures one by one as there’s no way to select multiple items at once. You can then choose how big you want the thumbnail with the orange circle on the left. You’ll see your selected videos or images in the bottom timeline, where you can move them around, reorder and shorten the clips with the timeline cursor as you see fit. Once you’ve the clips at the preferred lengths, you can add transitions by long-holding on a clip, selecting a transition (you can also choose effects and titles) and, choosing how long you want the transitions to be. After choosing the transitions, you can choose to include an audio clip (or music) and video title. You can then choose a resolution before exporting (in Options) it. You can choose the quality when you’re exporting your video. Once the video is done being exported, simply view it with Gallery. For a walkthrough, check out the following video. So with that, we conclude our list of video-editing apps for Android. Know of any additional ones? Let us know in the comments below! Tablet Movie Studio is not appearing on Android Market. I'm using a Transformer with Android version 3.2.1. Help please. It's not on the market because it should already be pre-installed in your tablet. Can you try looking in your Apps Drawer?